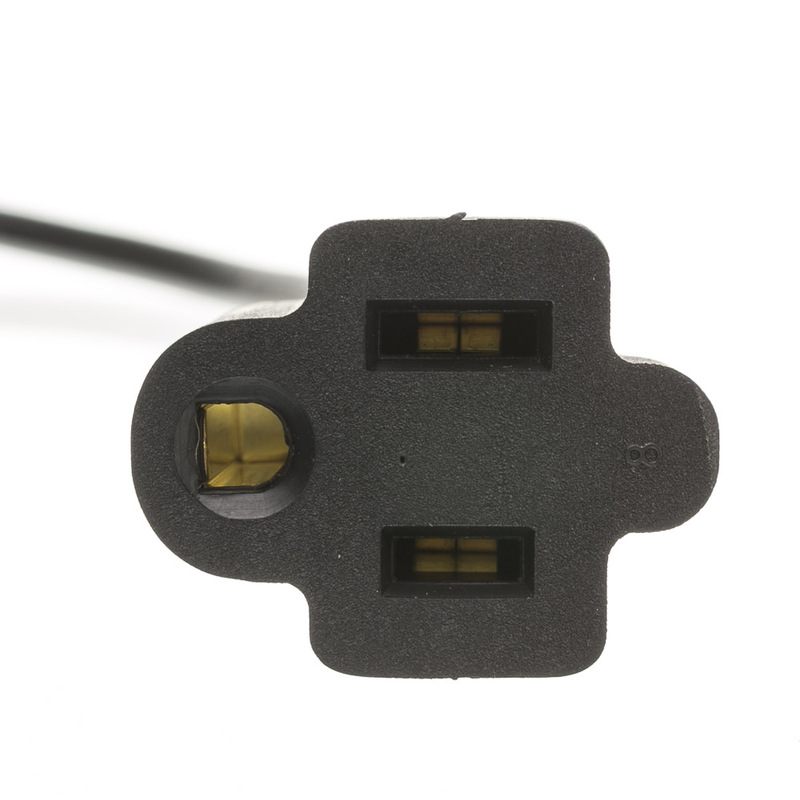 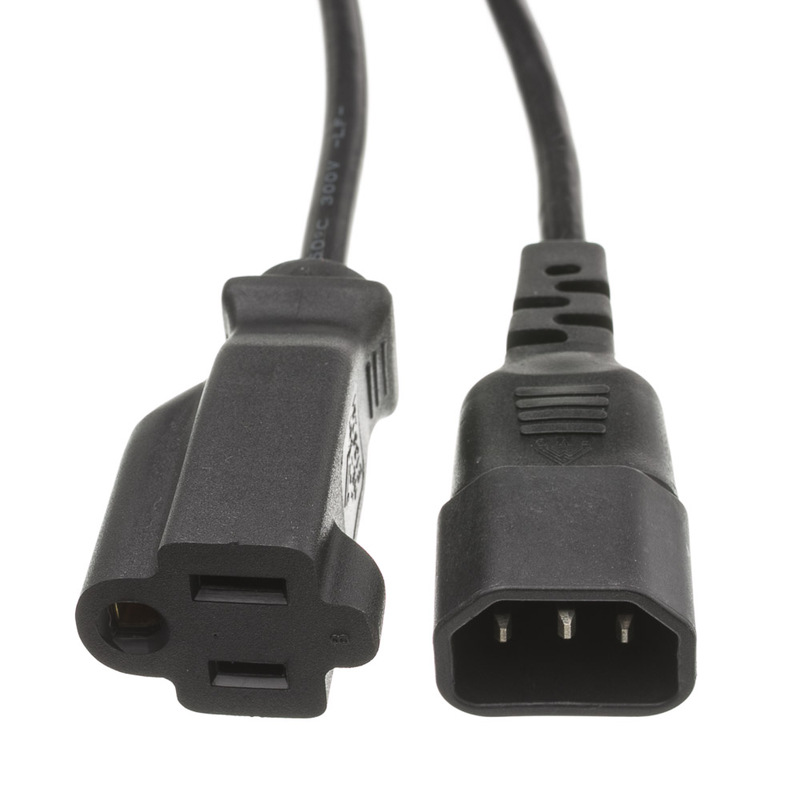 This 1 foot cable/adapter converts a standard Computer/Monitor power cable into a three prong power extension cable. 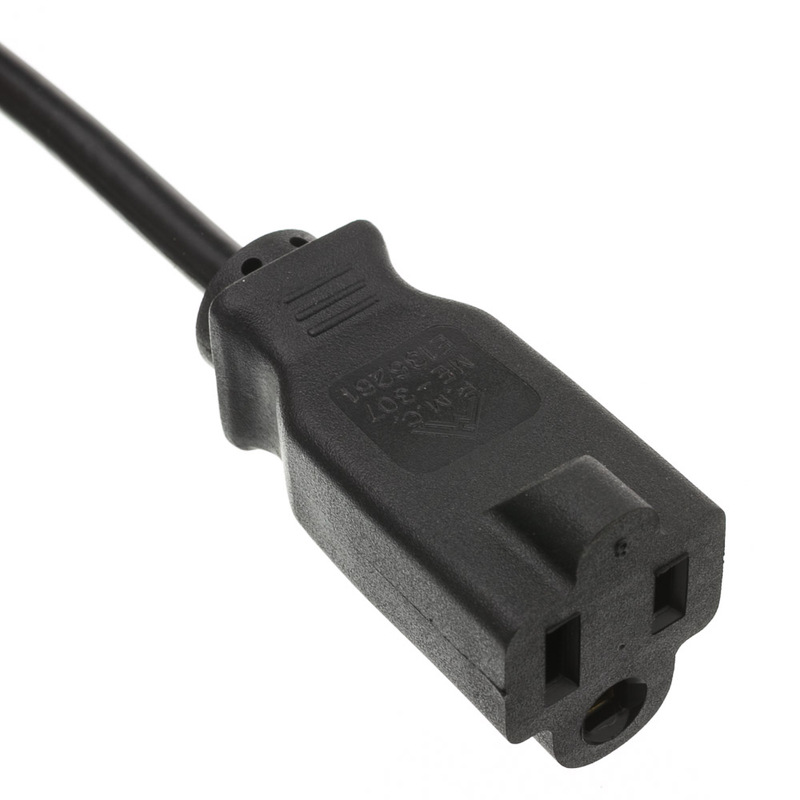 Converts C13 end to a NEMA 5-15R end and supports up to a 10 amp load. 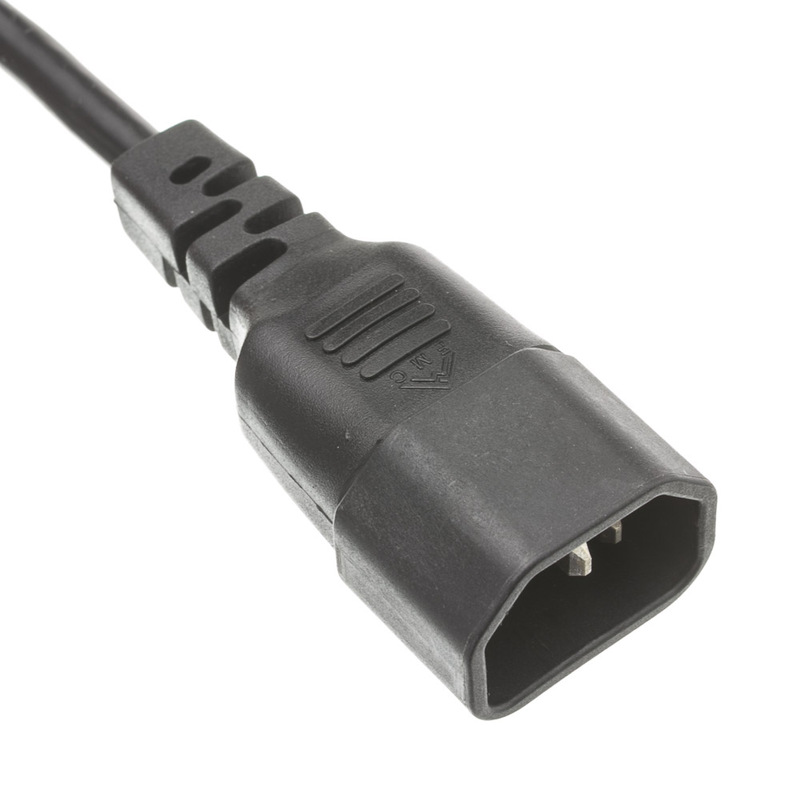 Very good quality power cords. 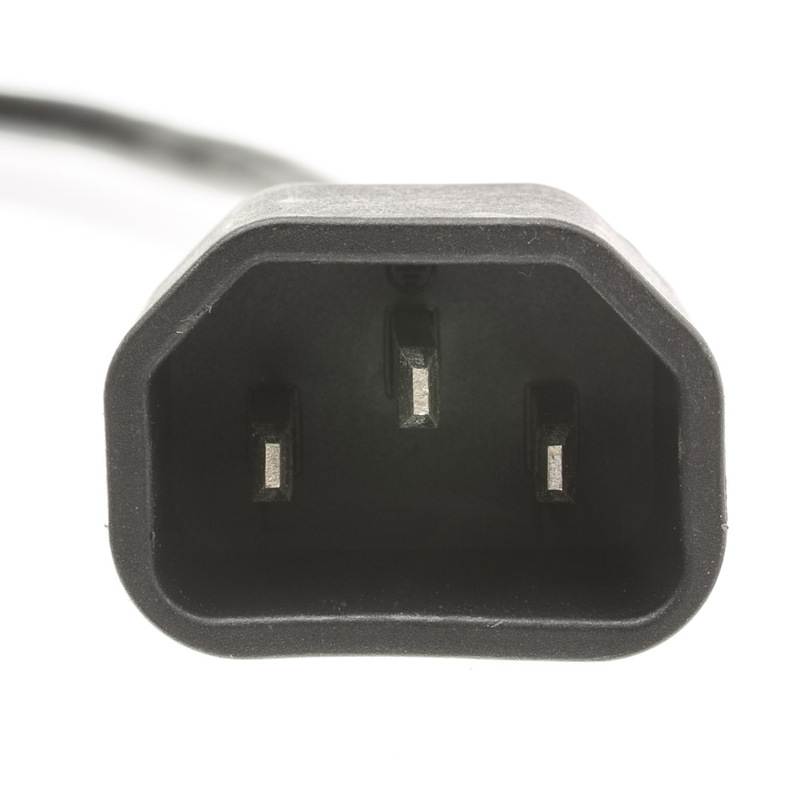 I've purchased these cords several times and will do so in the future.